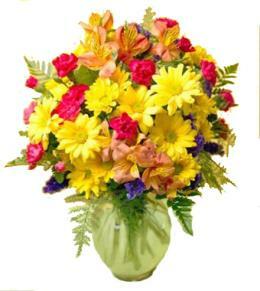 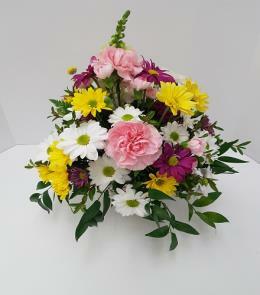 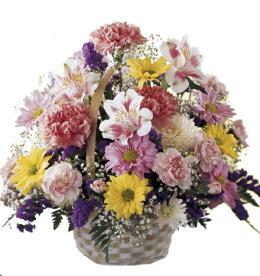 The Complete Happiness Bouquet will bring smiles and delight straight to your special recipient. 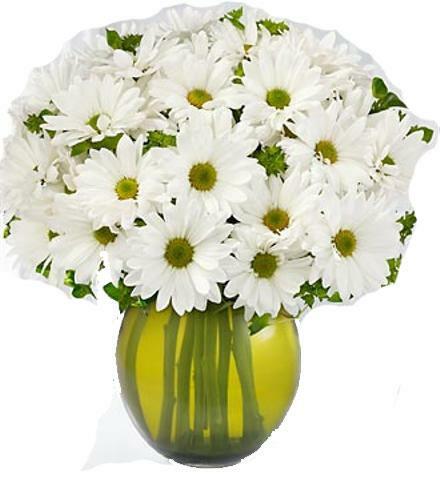 White traditional daisies are beautifully paired with a glass vase to create a bouquet of joyful abundance. . Birthday Flowers For Her - Complete Happiness Bouquet. 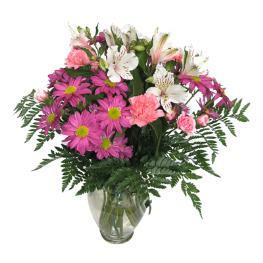 Florist Notes: Choose a large card for your message....gives your gift a very nice touch. 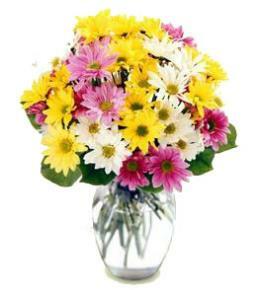 Chocolates, teddy bears and helium balloons also add to your gift. 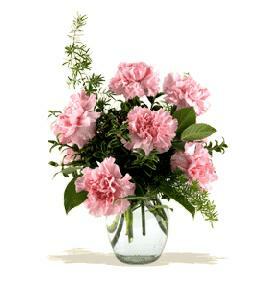 Arrangement Details: Vase may vary.